Haha, DonCoyote, I see what he did there xD awesome pic dude!! That is a rather rubbable belly. A WB-style coyote has never look more detailed without CGI. 3-star! Is that Wily E. Coyote? 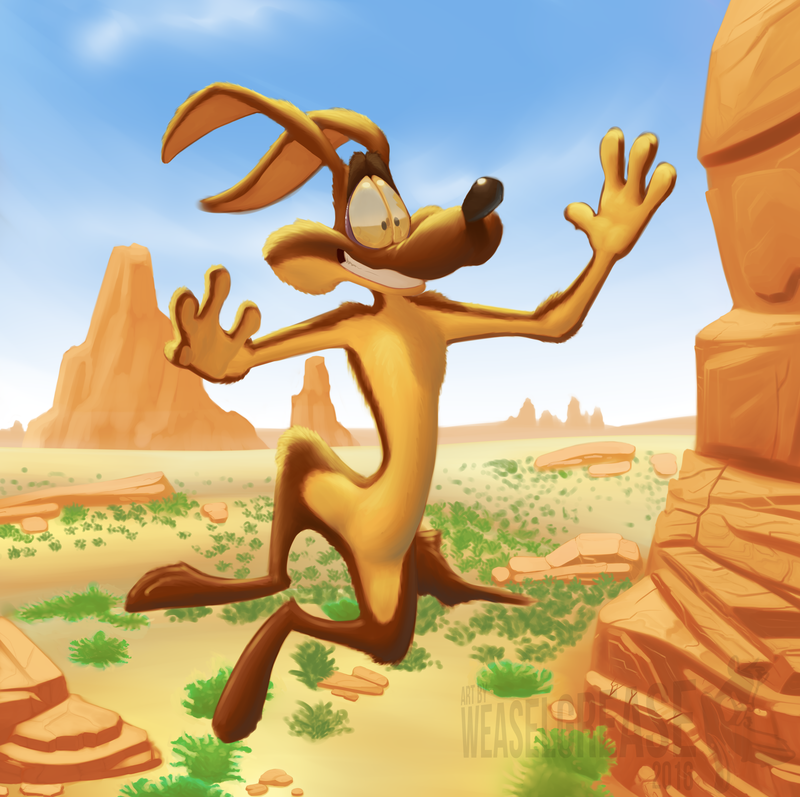 Not quite; it's just a coyote in the style of Looney Tunes. And I like what you've done. well done this brought back some nice childhood memories l3! Is that Coyote Rock next to his tail? Edit: Hey, and Carrot Rock under his shin. It's too small to call it Carrot Cliff...but then again, that might sound like someone's name?